The Ravine is ready navigate the tightest and steepest terrain you can throw at it with it’s multi M.O.A. 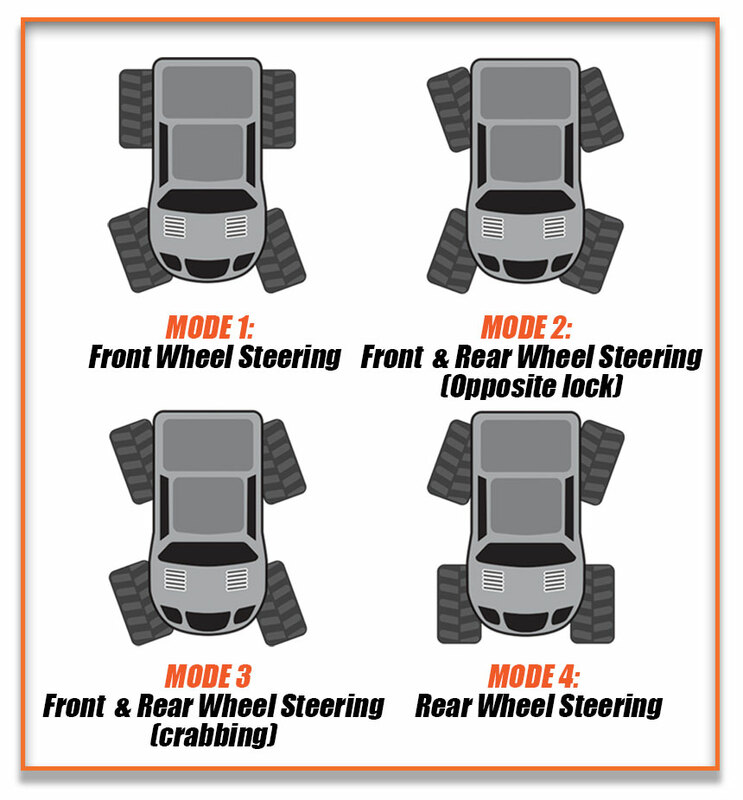 axle design and multiple steering modes. Inspired by full sized caged crawlers, the Ravine features and M.O.A. (motor over axle) design for a lower centre of gravity and more control front and rear. 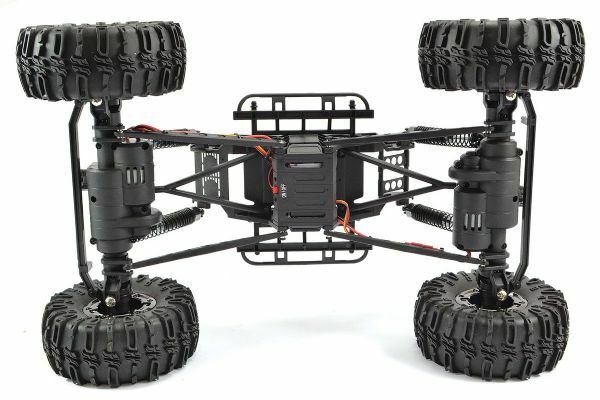 In addition the Ravine’s is fitted with steering servos both front and rear for a full array of different steering options. These steer-ing options can be easily switched while on the move via the transmitter providing you with instant help when navigating the trail. Stuck in a tight spot? Switch to the 4-Wheel-steering option for a tighter turning circle at low speed or at high speed or on softer surfaces change direction with the crab model. 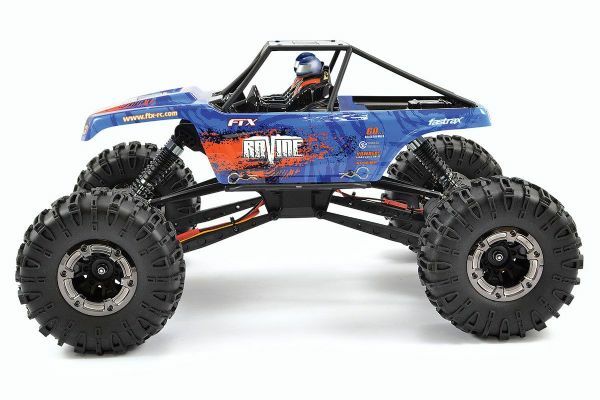 The options are limitless for you to explore all kinds of terrain with the Ravine. 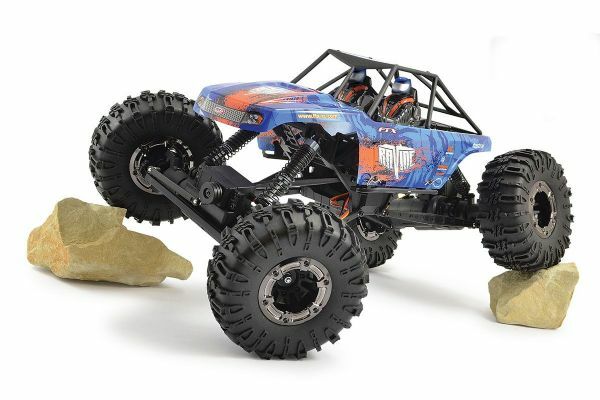 Multi-link suspension matched with oil filled shocks provides huge articulation for you carve your way through the rocks. 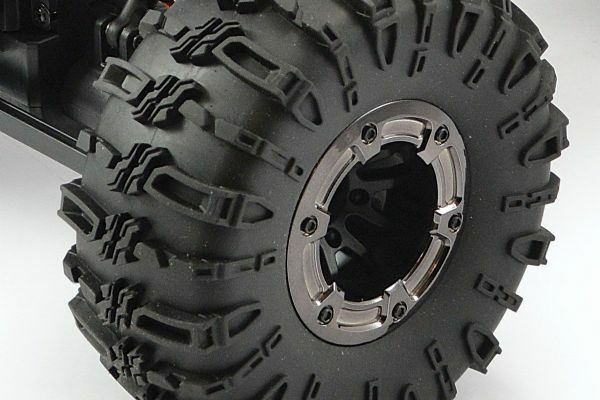 Supersoft, heavy lugged 2.2” tyres mounted on beadlock wheels pro-vide the traction and bite for you to apply the power. 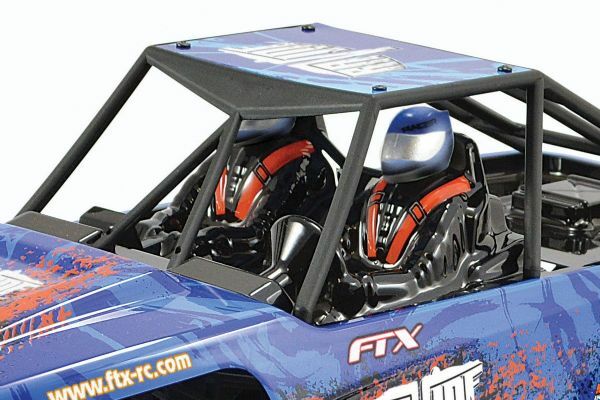 Topped off with a tubu-lar rollcaged body and interior set, the FTX Ravine is ready for you to go climbing! Please Note: This kit is sold in RTR (Ready-to-run) format but requires 3 x AA batteries for completion.